The little family and I have decided a few days ago to go camping this weekend. We all had a bit of a rough week and so it will be nice to get away from it all, sit back, and enjoy some peace and quiet for a few days. I can't wait, it's going to be fun! So that means Sunday's Project 365 post will be late. I won't be able to post it until sometime Monday evening or Tuesday morning...all depending on when we get back and how quickly we can get our week preparations done (y'know, the week's grocery shopping and such). I'll have my iPhone with me but I really don't plan on checking my email or social media outlets - other than to post the odd photo on Instagram. So if you send me an email, please be patient and know I'll get to it when I get back! 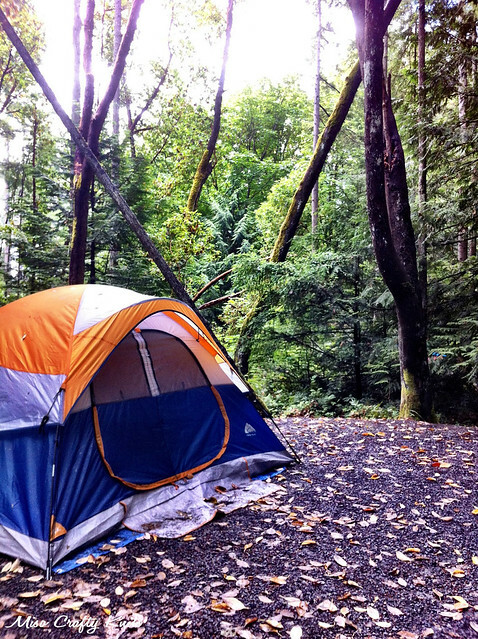 As excited as I am to go camping again, I'm a little bummed that I'll be missing out on some Olympics action. Namely gymnastics. I wonder if I can find a way to get online streaming to my phone? In the meantime, I've got some knitting and marshmallows to pack! Have fun! I could do with a weekend away I think.